Low cost horse fence. Secure T post caps. 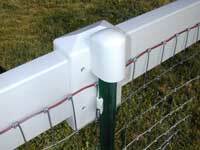 Electric fence insulators for horse fence, quality made in the USA. 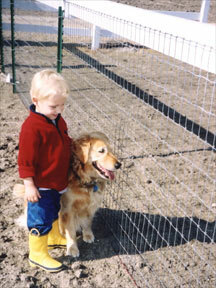 Safely enclosing horses requires horse fencing designed especially for them.  Take advantage of the visibility of vinyl and security of non-climb by installing both styles together while spending about half the cost of vinyl. Our adapter is the worlds safest T-post cover, allowing you to mount a vinyl sight line to T-posts, adding visibility and strength while protecting your horse from lethal T-post impalement! Innovative fencing products from Equi-Tee Mfg., the builders of the Shake'n Fork, a premium quality manure fork with standard or fine-tine versions. Manual or auto-sifting models. With so many pasture fencing styles to choose from, how do you know if the one you buy is really safe for horses? We manufacture and distribute high quality products to add safety and security to several fence styles to make them safer for your horse. Installing our products reduces horse injuries and excessive maintenance. 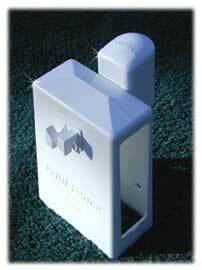 Equi-Tee Mfg, builds only one component of the fence system shown, this 6 piece adapter assembly. The wire, t-posts and vinyl rails must be purchase separately. We also manufacture specialty mounts for electric fence to install wire to pipe and vinyl fences. There are several other components that are necessary to build this fence, including PVC top rails, t-posts and non-climb wire. These components will need to be acquired by you locally. Several companies will supply you with a nearby dealer address online or you can visit our suppliers page to find one. Do you have an equestrian fence that you can count on? Are you satisfied with your horse fence? Do you feel that it is a safe, nice-looking, protected enclosure for your horses? Do you have a pasture fence that keeps your horses secure 100% of the time? A recent survey by the publishers of The Horse magazine indicates that most horse owners are looking to either install or upgrade their existing horse fence. Despite advances in farm fencing materials, budget or installation constraints still play a large role in determining what type of farm fence we install because the cost of materials to build a perimeter pasture fence, even on modest acreages, can run thousands of dollars. If a horse fence must be professionally installed, labor costs can exceed materials costs! While it is safe to say that good fencing costs more, our Equi-Tee fence, the best horse fence, is not the most expensive. Don't confuse security with safety. While most wire fences will keep your horse secure, will they be safely secure? Twenty five percent of surveyed horse owners did have a horse fence related injury!!! Is it worth installing a wire fence that is "safe until it isn't", or are you willing build a superior wire fence right from the start? Horses have very strong flight instincts and will flee without thinking of the consequences. Dependable, effective equine fencing must be more than just physically strong, it must also visually convey the image of a barrier to the horse long before contact is made. The horse MUST have time to turn or stop! Horses can be surprisingly destructive when it comes to containment and can push, kick or chew their way out of just about anything. An effective horse fence must be durable, with a minimum of upkeep, and should withstand all but the most determined horseplay. Another important point to remember is that "Its not just what you keep in, but what you keep out!" No other style of wire fence will safely enclose your horse and keep dogs, predators and the neighborhood children out of your horse pasture. Designing the pre-eminent horse fence. 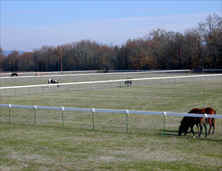 The ideal equine pasture fence must be highly visible, have physical strength and provide a strong mental deterrent. It should require minimal upkeep and be owner-installed at a modest cost. Our Equi-Tee adapter has produced a horse fence that combines the best features of several styles of fencing, while eliminating their individual drawbacks. We begin with the proven design of non-climb wire fence and improve it by adding a plastic fence vinyl top rail. The addition of this sight line adds much needed visibility. In addition, covering the exposed T posts tops adds a further measure of safety. We arrived at this marriage by installing many fence options at our Firefly Andalusian Ranch test facility. Since many styles of fence claim to be the "Most Durable," "Most Visible," "Most Economical," or "Safest," we tested them and found that some of them were totally inappropriate for horses. We also found that the prettiest, most expensive horse fences were also the most vulnerable to damage. We explain some of our findings on Woven wire pasture fence, Electrified Rope, High Tensile wire , Pipe Panels and Poly-vinyl at this link. The bottom line on Equi-Tee horse fencing products. Despite some drawbacks we believe that woven wire pasture fence is the most practical, modestly priced, permanent equine fence. Judging from the miles of wire field fence already up, this style of wire fence unquestionably gets the award for most proven pasture fence. Other than its rather plain look and lack of a sight line (top rail), non-climb woven wire is tough to beat as horse pasture fence, especially since it will keep just about anything (including pets and small animals) in or out. What was needed was a method to eliminate its problems; namely, exposed T post top, low visibility, and stretching from horse abuse. To make it a great horse fence, our Equi-Tee clip-on mount added the visibility of polyvinyl, the respect of electric and the safety of a T post cap all in one. A fence installed with Equi-Tee adapters has features make it the equal in durability to the most expensive, yet its price is moderate and its benefits are superior. Equi-Tee and woven wire is easy to install, it contains small animals, it works when the electricity quits and it does not require constant tensioning and maintenance. You will appreciate a safe enclosure that will last for years. 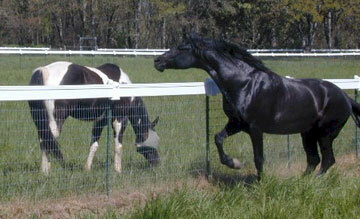 Base your fencing decision on the safety and security that an "Equi-Fence" can provide to your horses. Upgrading a non-climb wire fence with an Equi-Tee adapter only costs an additional dollar or two per foot, however, this is a very modest price to assure the well being of your horse. If you value the benefits of non-climb and are looking for a way to optimize it for your horses, we have the equine fencing solution for you. Click here for more information on how to obtain a sample and brochure today. Can you count on your fence?